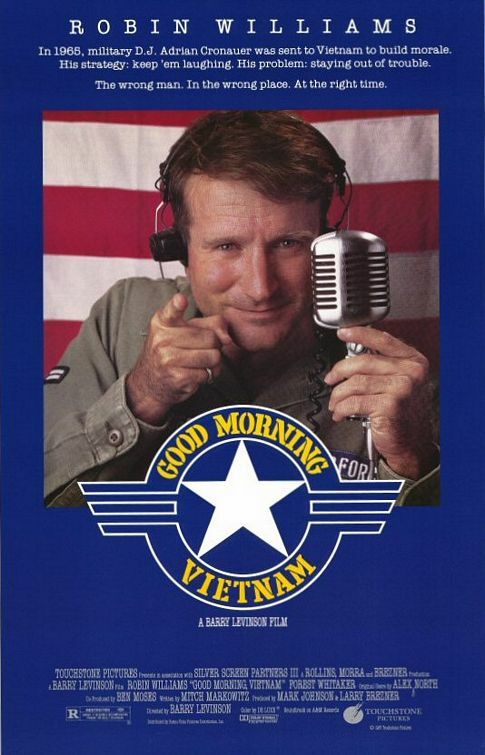 Good Morning Vietnam – Did You See That One? Adrian Cronauer (Williams) has just been transferred by the Air Force to the United States Armed Forces Radio Service in Vietnam. After arriving, Cronauer immediately begins to shake up the station, bringing a new level of comedy and entertainment to the tired broadcast. The show soon becomes popular among the troops, while angering the officers in charge. As he pushes forward, Cronauer begins to look for ways to tell the truth to the men serving in Vietnam. 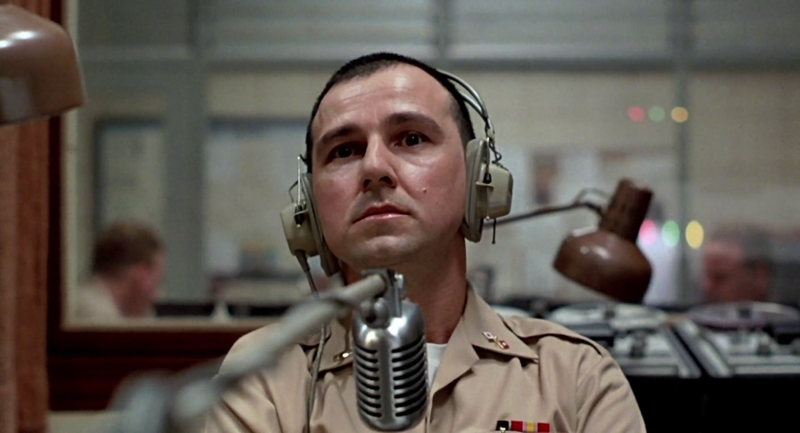 This film is loosely based on the work of Adrian Cronauer, a former DJ for the Armed Forces Radio Service. The screenplay was adapted by Mitch Markowitz (Crazy People) after the story got the attention of Robin Williams (Hook). Barry Levinson (Sleepers) directed this film, which went on to great success both commercially and critically. 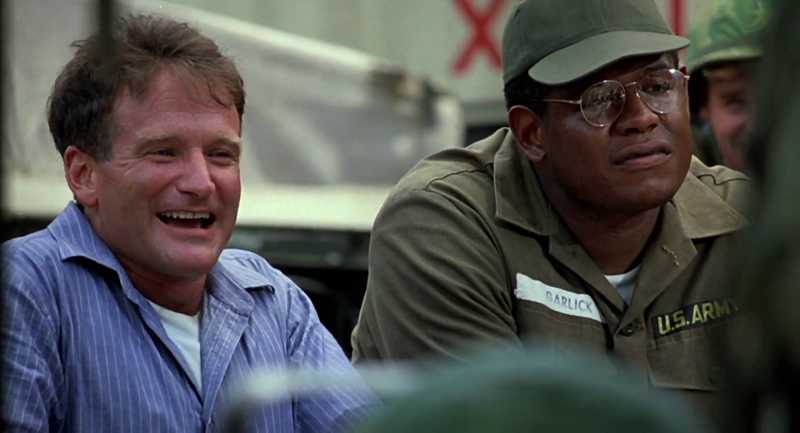 The film features a number of great actors including Robin Williams (The Fisher King), Bruno Kirby (When Harry Met Sally), Forest Whitaker (Platoon), and Robert Wuhl (Bull Durham). The story is mainly fiction, taking its premise from Adrian Cronauer’s experiences in Vietnam. The blend of comedy and war seems to be effortless with this excellent film. As the movie progresses, this blend evolves, pushing the war into the forefront and making some strong statements. Thankfully these statements are nicely worked into the action of the film and don’t ever feel preachy. 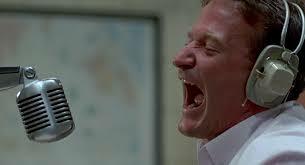 The film also has some wonderful comedy, written for the talented Robin Williams. The jokes and the situations all come together nicely. Overall, this story is a unique look at Vietnam that doesn’t ever forget the real issues of that war. The acting in this movie is wonderful. Robin Williams is lightning quick with his delivery, and manages to give the film exactly what it needed to be truly funny. His dramatic scenes are equally nice, allowing him to show off a little more range than some of his work does. Behind him, Kirby, Whitaker, and Wuhl are all great. The rest of the cast also do a good job in their roles. Overall, this is a nicely acted movie that allows the focus to remain on the star, Robin Williams. He earned an Oscar nomination for Best Actor for this movie. The movie, as a whole, is much deeper than most comedies. The locations and sets allow the film to feel very authentic in its portrayal of the times. The acting and story do the rest, allowing this movie to work from beginning to end. The music used in the movie is all from the period, and helps to lighten the mood throughout. This is a must-see for fans of Robin Williams. I would also recommend this to fans of war movies and dramas. There is a lot going on in this movie, so it’s got excellent repeat value. The comedy blends nicely with the politics of the time and the message of the story. Overall, this is a great film. I give this one 4.6 out of 5 stars. Pingback: Rain Man | Did You See That One? Pingback: 2001: A Space Odyssey – Did You See That One?